Roger Sullivan wasn’t an educator, or a scientist, or an explorer, or a military hero, or a celebrated humanitarian. His public service consisted of a single term as a probate court clerk. So why does he have a high school named after him? In Chicago, the reason is obvious. Roger Sullivan was the political boss who built the Democratic Machine. Born in 1861, Sullivan grew up in rural poverty outside Rockford. He came to Chicago as a teenager to work in the West Side rail yards, and soon became active in the Democratic Party. His election to the Cook County Probate Court came in 1890. Chicago had a competitive, two-party system then. The Democrats had several factions who battled among themselves. The Republicans were divided that way, too. If either party could become united, that party would easily win elections. Different political chieftains kept trying to build a permanent coalition. Sullivan was the man who succeeded. Over the course of twenty years, he gradually brought the local Democrats together. Often it was like herding cats. But though he suffered setbacks, he kept going. And as the Sullivan group began winning more elections, more ward leaders joined up—which in turn, made the Sullivan group even stronger. Sullivan also became a force in national politics. He was elected National Democratic Committeeman from Illinois in 1906. At the 1912 convention he helped secure the nomination for Woodrow Wilson. Now Sullivan was touted as a backroom boss who had the vision to work for progressive causes. Sullivan himself became quite wealthy. His enemies made pointed hints about how he’d obtained that wealth, but nothing illegal was ever proven. There was enough money to be made from politics in legal ways, without blatant stealing from the public treasury. In 1914, after decades operating behind the scenes, Sullivan became a candidate for the United States Senate. “The chief wants to be a statesman,” one of his associates explained. Illinois was still a Republican state and Sullivan lost, but only by 17,000 votes. He went back to building the local party. 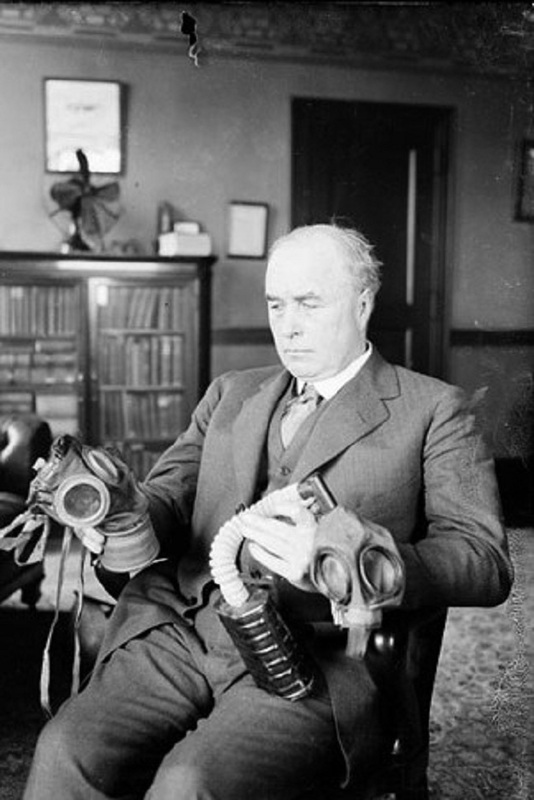 By 1920 he had control centralized in his hands, and newspapers were starting to write about the Democratic “machine.” That April 14th, Roger Sullivan died of a heart attack. 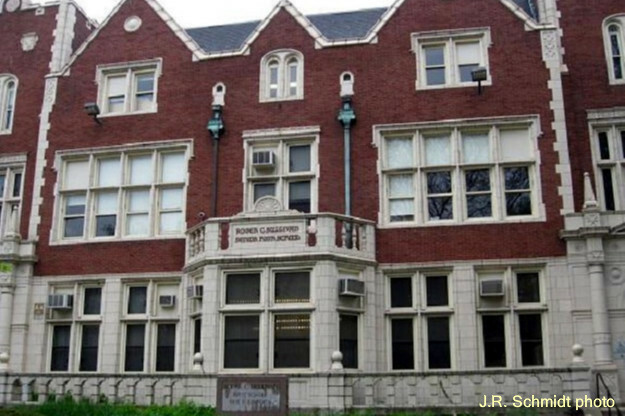 In 1926 the Roger Sullivan Junior High School opened at 6631 North Bosworth Avenue. When the city later abolished junior highs, it became a four-year general high school, as it remains today.